We were proud to present the Team of the Month award for December to our amazing Occupational Health (OH) team. The confidential nature of this team’s work often means its light is hidden under a bushel, so it’s great to be able to recognise the impact it has on the health and wellbeing of our staff. Occupational Health Manager, Michael Cockayne, nominated the team for its consistent hard work and dedication – reflected in excellent feedback from across the Trust. Alongside the daily assessments and health and wellbeing advice to staff and managers, the team has delivered the flu campaign and resilience and self-care workshops, plus forged key relationships with crucial services such as Mental Health Access to Work, Bradford Council’s smoking cessation service and local mental health groups and charities. Last year it also responded with urgency and direction to multiple measles outbreaks in Bradford which involved screening hundreds of our staff to maintain workforce levels – all managed alongside existing clinics and routine work. 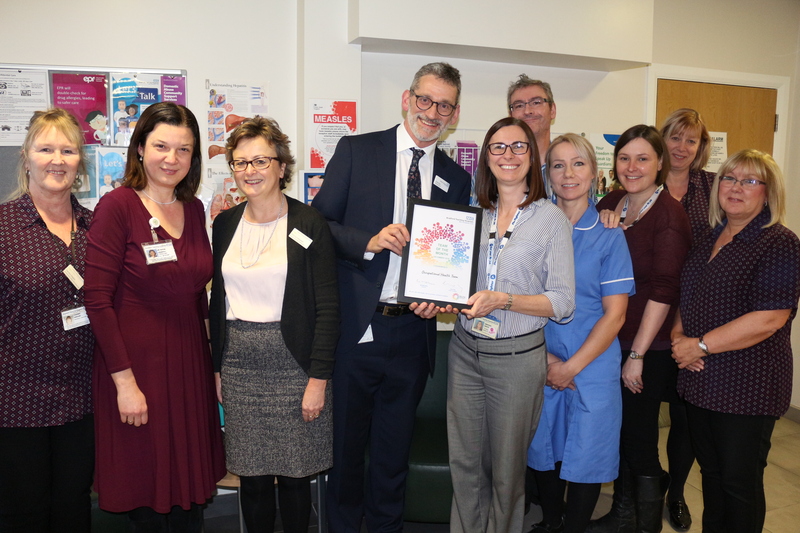 Members of the Occupational Health team are pictured above receiving their award from Chief Executive, Professor Clive Kay, and Director of HR, Pat Campbell. We’re fortunate that, at Bradford Teaching Hospitals, we have many staff who perform at an exceptionally high level both on a professional and personal level, and instil loyalty in their teams. Shah Muhammad, Data Warehouse Support Manager, is one of those people and, we’re pleased to say, is also our Employee of the Month award winner for December. 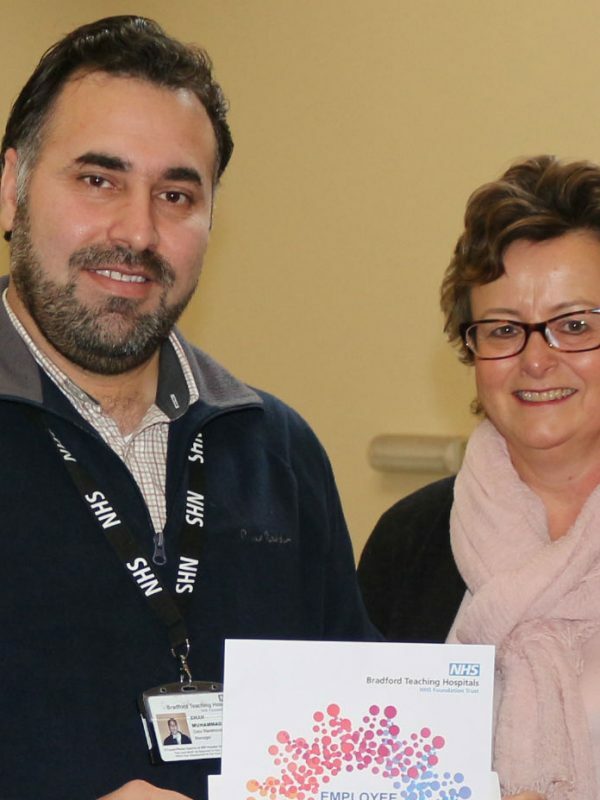 Shah, who only joined the Trust just over a year ago, has transformed the data warehouse, which is pivotal to the Trust’s reporting needs and allows the Trust to track and improve performance, which helps us improve the care and experience we can provide to all of our patients. He was nominated for the award by three of his colleagues who all praised his technical and people skills. Data Warehouse Support Analyst, Lea Hudson, said: “Shah goes above and beyond for everyone who needs help. He’s a genuinely nice guy and an undervalued asset to the Trust. Wayne Chan, Data Warehouse Analyst, added Shah’s commitment to ensuring the Trust excels was recognised within a year by his promotion from an analyst to support manager. Many congratulations, Shah, on an award which is richly deserved.